Scranton, IOWA - New Way® Trucks is pleased to announce that Kinloch Equipment and Supply, based out of Pasadena, Texas has been named a New Way® authorized dealer. The Kinloch team joins a dealer network that includes over 50 national and six international representatives authorized to sell New Way® vehicles in the areas they serve. Kinloch Equipment's corporate offices are located in Pasadena, Texas, but they also have satellite locations in Arlington and San Antonio. The company specializes in outfitting the environmental services industries and municipalities with street and sewer maintenance equipment. 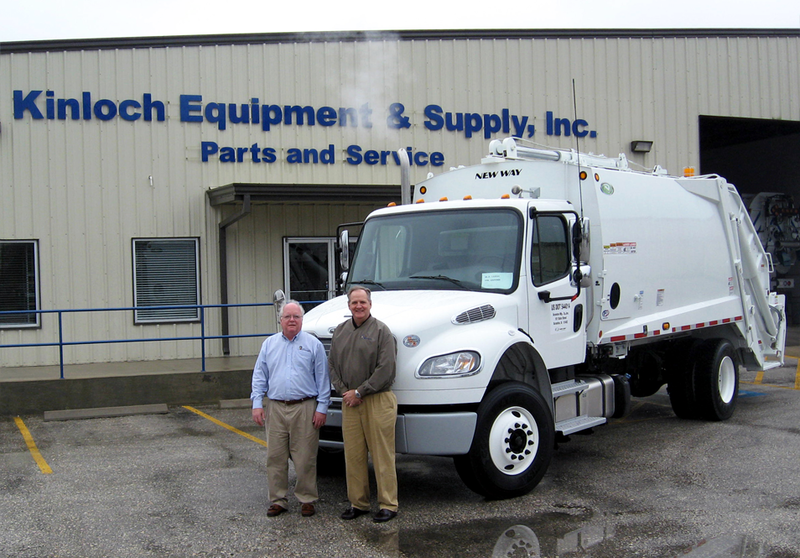 Recent expansions have made it possible for them to add refuse management to their listing of equipment offerings. "Our business is entering into an exciting new phase," said president, Todd Kinloch. "As we continue to grow, we are pleased to be able to expand on the line of products we can offer our customers. As with all of our other equipment, we have done the research, and we will only recommend the best products in the industry. New Way® offers the highest levels of quality, the best equipment available and the most comprehensive service team in the industry, and these are the reasons we have worked hard to be named an authorized dealer." Kinloch will be able to equip any waste management company or municipality with the full line of New Way® Trucks, including front loaders, rear loaders, automated side loaders, satellite bodies and the first auger-driven, dual-purpose organics/MSW collection vehicle in the world. "Not only can we help Kinloch get their clients into the most durable, safest and well-equipped refuse trucks in the industry, we can offer solutions to their waste management issues that no one else in the world can provide," said Phil Allen, New Way® Truck's vice president of sales. "We share Kinloch's vision of being a customer-focused, responsive company that is committed to support and service over the life of the product. We want to welcome them as the newest members of the New Way® family." For more information on Kinloch Equipment and Supply, call 800.231.6929, log on at www.kinlochequip.com or connect with them on Facebook or Twitter.